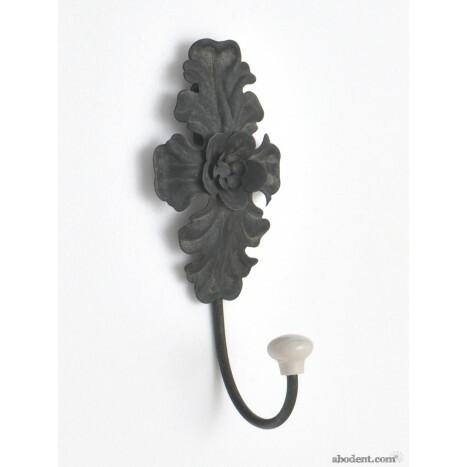 Detailed metalwork has skilfully recreated the intricate natural beauty of a thistle flower in this floral wall hook. Layered metal petals stand above the ceramic knob giving texture and depth to this unique item. Tags: flower hook with ceramic knob, metal flower coat hook, floral wall hook, ceramic knob hook.